Hi there lovelies, I just wanted to do a quick post about this gorgeous bracelet I purchased the other week. It's not makeup related but definitely beauty related as its beautiful! 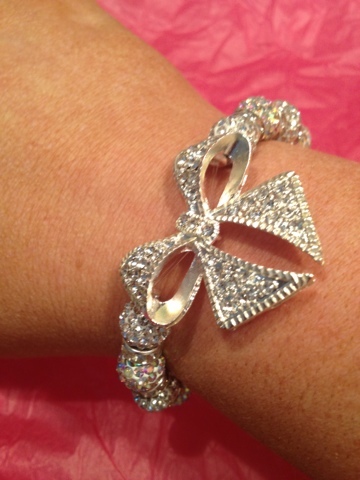 The bracelet is gorgeous its "made in the shambala style but with elasicated fittings for your comfort, each piece comes with a beautiful large bow charm that matches perfectly with the beads, its a true wow piece for any sparkle lover :)"
I brought it from angelmazz.co.uk for £30. They have fantastic customer service and I will definitely be buying from them again. 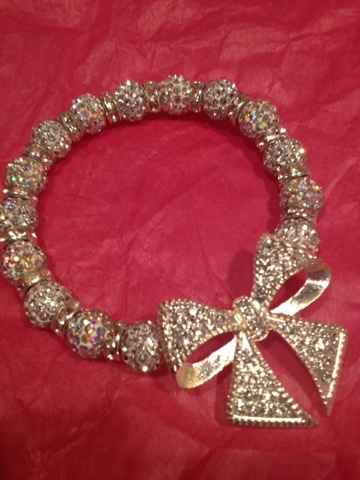 You can follow them on twitter @occasionsbyangelmazz where they often do competitions and special offers. love the bracelet (: so pretty!